In honor of my half birthday, I thought it would be fun to put together a list of places to eat free on your birthday! Sadly, none of these places will let you eat free for your half birthday, so I have some waiting to do (hahaha). But if you have a birthday coming up, you’re going to want to check out where to eat free on your birthday. If yours has already come and gone this year, be sure to save this post in your bookmarks or pin this post on Pinterest to reference for your birthday, and all your family members’ all year long! Some of these places offer free meals, others it’s a free treat, appetizer or drink. Be sure to check with your server before ordering as sometimes policies change. I will do my best to keep this list up to date but I strongly suggest you verify the information before going or before ordering. Be prepared to show ID to prove that it’s really your birthday. Also if you look closely, some of these have additional offers that are good right when you sign up, so you don’t even have to wait till your birthday to eat free! PRO TIP: If you don’t want to give out your email to all these places, try setting up an email account dedicated just for this purpose. 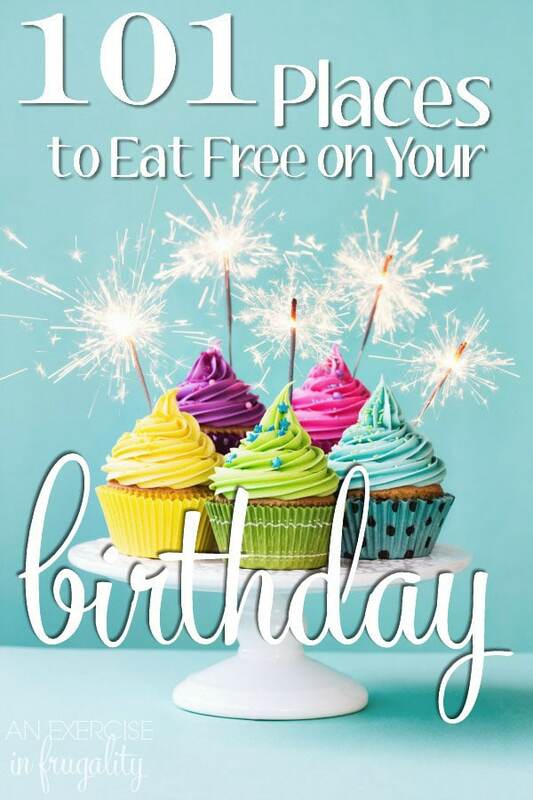 Without further ado, here’s 101 places to eat free on your birthday! A&W – Free rootbeer float on your birthday when you join the Mug Club. Applebees – Free birthday special when you sign up for their email club. Arby’s – Free shake on your birthday and a free roast beef (with purchase of a drink) when you sign up for their emails. Au Bon Pain – Get a free birthday lunch when you sign up for their eClub. Auntie Anne’s – Snag a free pretzel on your birthday when you sign up for their Pretzel Perks app. Baja Fresh – Enjoy a free burrito on your birthday when you sign up for the Private eClub. Baker’s Square – When you sign up you get B1G1 free entree and a free slice of pie on your birthday. bd’s Mongolian Grill – Sign up here to get a free meal on your birthday! Bennigan’s – Sign up and get free dessert on your birthday. Bob Evans – Kids get a free birthday meal with the purchase of an adult entree. Bonefish Grill – Sign up to get a free Bang Bang Shrimp or Coconut Pie during your birthday month. Boston Market – Get $3 off your $10 purchase when you sign up plus free dessert on your birthday. Bruegger’s Bagels – Free bagel with cream cheese when you sign up for the eClub and a free birthday treat! Bubba Gump’s Shrimp – Snag a free birthday sundae on your birthday. Buca di Beppo – Free pasta when you sign up, plus a free cake during your birthday month! Buffalo Wild Wings – Free snack size order of wings on your birthday when you join the Buffalo Circle. California Pizza Kitchen – Join the Pizza Dough club and get a free dessert on your birthday. Caribou Coffee – Sign up to get a free medium when you sign up, plus a surprise on your birthday! Carraba’s Italian Grill – Get some yummy birthday rewards when you sign up for the Amici Club. Chick-fil-A – Sign up and get a surprise birthday freebie (varies by location). Chili’s – Join the My Chili’s Reward Club and get free chips and guac. Cinnabon – Free Minibon for signing up for Club Cinnabon plus a free birthday treat. Cold Stone Creamery – BOGO creation coupon for your birthday when you sign up for the My Cold Stone Club. Cousin’s Subs – Sign up for the eClub and get an exclusive birthday freebie on your birthday! Cracker Barrel – Free dessert on your birthday, no signup necessary! Culver’s – Get a free Value Basket when you buy a Value Basket when you sign up, and a free birthday treat. Dairy Queen – BOGO treat coupon when you sign up, plus a special birthday treat coupon on your birthday. Del Taco – Score a free premium shake on your birthday when you sign up for the Raving Fan eClub. Denny’s – Hit a BYO Grand Slam on your birthday, no sign up necessary! Dickey’s Barbecue Pit – Free Big Barbecue Sandwich for your birthday when you sign up for the Yellow Cup Club. Dippin’ Dots – Sign up for the Dot Crazy email club and get free Dippin’ Dots on your birthday! Don Pablo’s – Sign up for the Habaneros Club and get $10 to spend on your birthday. Dunkin’ Donuts – Register for DD Perks and get free drinks now, when you get 200 points AND on your birthday! Dutch Bros. Coffee – Create an account to get a free birthday drink on your special day. Famous Daves – Get a tasty gift for your birthday when you sign up for Famous Nation. Fazoli’s – Free dessert on your birthday when you join Fazoli’s Efamily. Firehouse Subs – Sign up for Firehouse Rewards and get a free medium sub on your birthday! Friendly’s – Join the BFF Club and get a free birthday sundae. Fuddruckers – Sign up for the Fudds Club and get a special birthday offer. Genghis Grill – Sign up for Khan’s Rewards and get a special birthday offer. Godiva – Get an exclusive birthday gift from Godiva when you join their Rewards Club. Hard Rock Cafe – Sign up for Hard Rock Rewards to eat free on your birthday. Hometown Buffet – Sign up for special offers on your birthday! Honeybaked Ham – Sign up Honeybaked Rewards to eat free on your birthday. Hooters – Join the Hooters eClub to get a free birthday gift. Houlihan’s – $10 when you join their email list, and eat free on your birthday! IHOP – Sign up for the Pancake Revolution and eat free on your birthday, plus more perks. Jamba Juice – $3 off your next visit plus a free birthday smoothie or juice. Joe’s Crab Shack – Sign up and get a free appetizer. Johnny Rockets – Join the Rocket eClub and get a free burger. 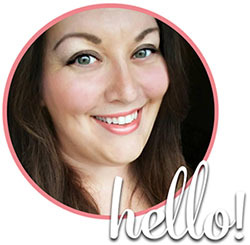 Marie Callenders – 20% off when you sign up plus exclusive birthday offers. Melting Pot – Join Club Fondue and get exclusive birthday offers. Moe’s Southwest Grill – Free queso when you signup, plus a free birthday burrito. Noodles & Company – Get a coupon on your birthday when you join the eClub. Nothing Bundt Cakes – Sign up for the e-club and get a free bundlet on your birthday. Old Country Buffet – Join the Crave Connection and get a special birthday discount. Olive Garden – Join the eClub and get a free dessert or appetizer when you buy 2 adult entrees. On The Border – Get free queso when you join Club Cantina. Orange Julius – Snag a BOGO drink coupon when you sign up for Julius League. P.F. Chang’s – Register for P.F. Chang’s Preferred and get a complementary appetizer or dessert in your birthday month. Panda Express – Get an exclusive offer on your birthday when you sign up for their email newsletter. Panera Bread – Join MyPanera and get a free birthday pastry. Perkins – Get 20% off when you sign up, plus a free gift on your birthday. Pinkberry Yogurt – Free yogurt on your birthday plus 11th yogurt free when you buy 10. Pretzelmaker – Score a free birthday surprise when you sign up for their email club. Qdoba Mexican Grill – BOGO free burrito on your birthday when you sign up for Qdoba Rewards. Quizno’s – Grab a free cookie on your birthday when you sign up for the Q Club. Rainforest Cafe – Get a $25 reward when you sign up, and another on your birthday. Raising Cane’s – Join the Caniac Club and get a free box combo when you sign up. Red Lobster – Sign up for the Fresh Catch Club and get a surprise birthday offer. Red Robin – Join Red Robin Loyalty Club and get a free burger during your birthday month. Romano’s Macaroni Grill – Free slice of cake on your birthday! Ruby Tuesday – Free appetizer when you join their eClub, plus a free burger or salad bar on your birthday. Sbarro – Get a free slice when you sign up for Sbarro Slice Society plus a free surprise on your birthday. Schlotzky’s – Get a free small Original sandwich when you download the Lotz4Me app. Sizzler – Free entree on your birthday when you join the Real Deal Club. Souper Salad – Join the Souper Fresh Club and get a free meal during your birthday week. Souplantation – Free birthday surprise when you join Club Veg. Spaghetti Warehouse – Get a free birthday meal when you sign up! Starbucks – Join Starbucks Rewards and get a free beverage on your birthday. Steak ‘n Shake – Get a birthday surprise when you sign up for the Steak n’ Shake eClub. T.G.I Friday’s – Join the T.G.I Friday’s Rewards Loyalty Program and get a free dessert with the purchase of an entree. Taco Time – Join TacoTime Fresh Rewards and get a BOGO free coupon. Texas Roadhouse – Get a delicious gift on your birthday when you sign up for emails. Tony Roma’s – Free entree on your birthday when you sign up for their email club. Tropical Smoothie Cafe – Join the Tropical Email Club and get a special birthday offer. Uno Pizzeria – Get a free welcome gift and a free entree on your birthday. Waffle House – Get a free waffle on your birthday when you sign up for the Regulars Club. Wendy’s – Get a special birthday deal when you sign up for the MyWendy’s Club. Which Wich – Get a free regular sandwich on your birthday when you sign up for the Which Wich Vibe Club. Wingstop – Sign up for The Club and get a free surprise gift on your birthday! Yogurtland – Sign up for Real Rewards and get a birthday treat on your birthday! Zio’s Italian Kitchen – Get a free appetizer when you sign up, plus a free birthday entree when you join eZio’s. Free food always tastes better, right? 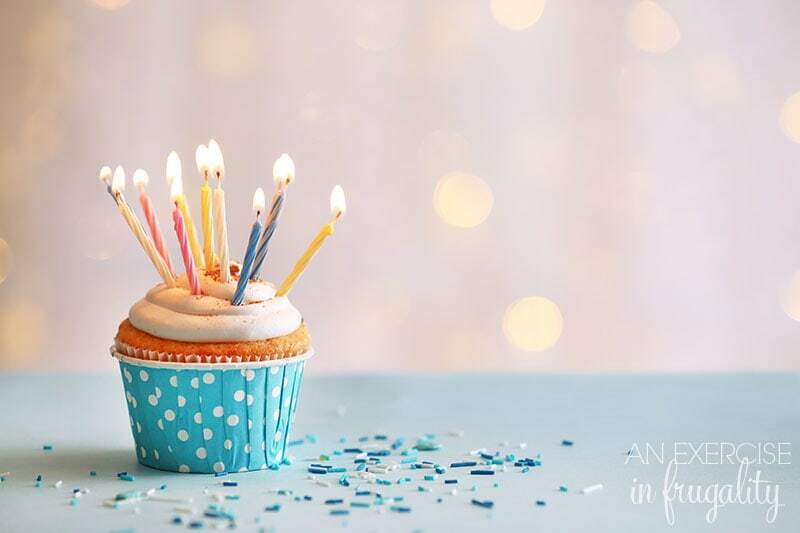 Be sure to sign up for these great birthday freebies and don’t forget to come back and let us know if one of these is no longer working and we’ll update the list. Why pay for dining out when there’s so many places you can eat free on your birthday? Where else can you get a free birthday meal? Thank you fellow frugal person!